Brand New Condominium ready to move in September. A Gorgeous Open Floor Plan with 2 Bedrooms with a Huge Den with All 9 foot ceilings and 8 foot door ways. Beautifully upgraded 42 inches Kitchen Cabinets, Quartz Kitchen and Bathrooms counter tops and Stainless Steel Appliances including Gas Range. Smart Home Features include WiFi door lock, Garage door, Thermostat and WiFi lights in the Great Room. 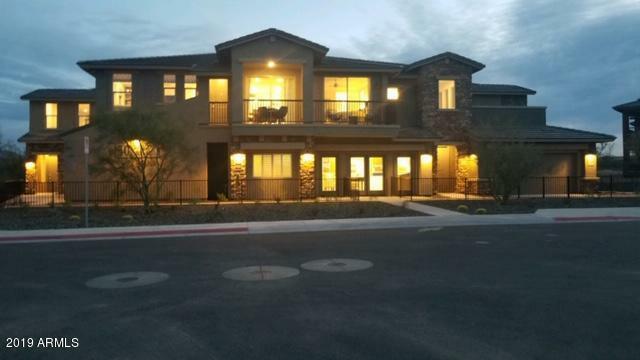 Enjoy your Beautiful New Home in the Resort Style Community of Rancho North with a Pool, Spa and Exercise Room and in a great location in Cave Creek.Picture are of the A Model. Cross Street Cave Creek Road And Rancho Paloma Dr.